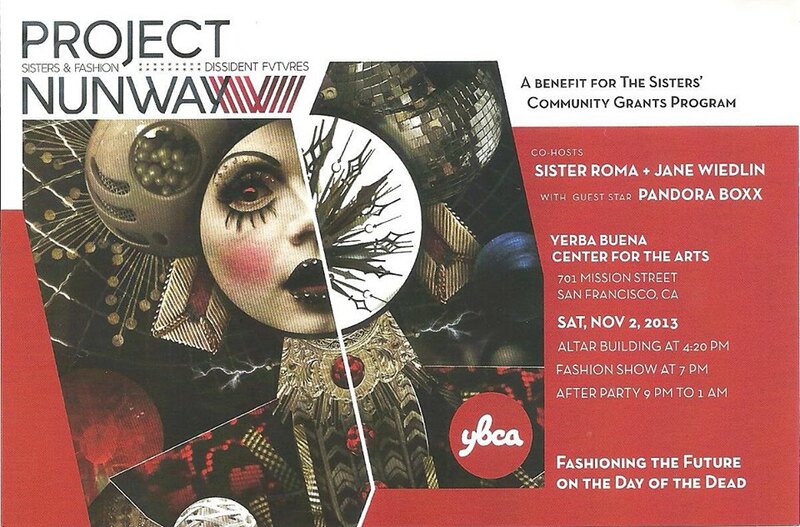 Trash Mash-Up are featured designers for Project Nunway V: Dissident Futures on Saturday, November 2, at 7 PM, Yerba Buena Center for the Arts Forum Theatre. San Francisco’s preeminent Order of irreverently irreligious nuns returns to YBCA for a spectacular extravaganza of thehaute-est couture. Project Nunway V: Dissident Futures brings the Sisters of Perpetual Indulgence’s annual gala back to the place of its glorious birth in the grandest fashion, featuring mistresses of ceremonies Pandora Boxx, of RuPaul’s Drag Race Season 2, and Sister Roma, the Grand Marshal of San Francisco Pride 2012. Bay Area funketeers, Planet Booty, will provide the soundtrack as the Sisters turn out their best sashay and shantay, bedecked in original high-fashion (and high-concept) looks created from recycled materials in collaboration with local designers. Futuristic fierceness is the new black this year, so bring your Big Brother because it will be a night of glamour, drama—and, of course, cocktails—that you won’t want to miss.